When it comes to buying a pushchair there are so many to choose from that it can be a little overwhelming. With a huge array of features, there are strollers to suit every lifestyle, and for us the most important thing is size. 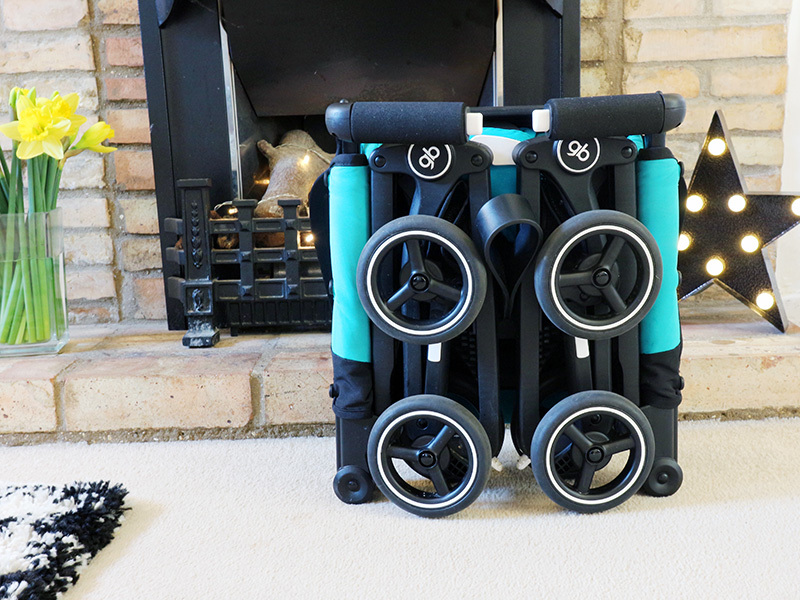 We have a small car so it is really important that our pushchair is compact when folded, and we were luckily offered the chance to try out the GB Pockit Stroller which is not only tiny when folded, but is actually claimed to be the world's smallest folding stroller. When the Pockit arrived, just in time for our holiday to Berlin, I was shocked that it was even smaller than I had imagined. 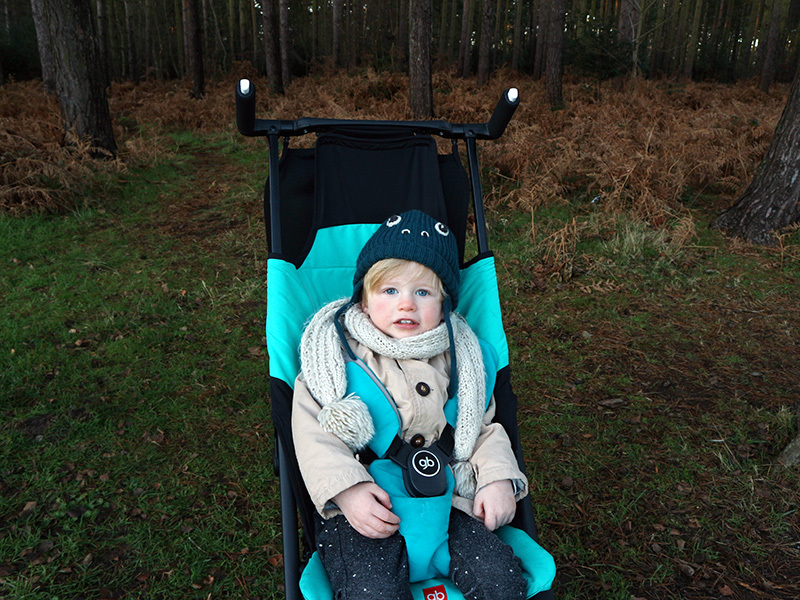 We had been really anxious about taking our big pushchair abroad, so were really excited to have the perfect alternative, and knew that travelling would give us the perfect opportunity to test out the stroller in a range situations. Over one long weekend we took it on planes, buses, trains and even the underground, as well as pushing it for miles and miles, encountering many obstacles and dealing with Berlin's serious lack of dropped curbs. Obviously, it is the Pockit's size which is it's selling point, but I have to say that being able to fold it away so small came in handy far more often than I had expected. This is ideal when travelling as it is easy to carry, fits into the luggage compartment on planes and trains, and hardly takes up any space in the boot of a car. During our holiday we ate out at restaurants for every meal, and we simply popped the folded stroller under Zach's highchair whilst we were eating, meaning it wasn't in anyone's way or taking up a lot of space. It just made life with a toddler so simple, and for this reason alone I think that the Pockit is superb. After the size, the next thing we noticed was the weight - it is seriously light for a pushchair. At just 9.5 lbs the Pockit is so easy to carry around. This is perfect when you have a toddler who likes to run around, as you can carry it until they get tired and inevitably need a rest. We did worry that the lack of weight would mean that it was weak and flimsy, but we were pleasantly surprised by just how much it could withstand. Although it doesn't look it, the Pockit can actually hold a child weighing up to 55lbs, meaning you can get lots of use out of it during those first few years. The Pockit stroller is incredibly simple to use, but it's simplicity also means there are a few drawbacks. Whilst it is easy to fold/unfold and use, it is lacking a few things from our big pushchair such as a large basket and a rain cover. This means it is less practical for everyday use - but whilst I wouldn't take the Pockit out shopping it is perfect for the school run, a walk round the park, or exploring the city. It does have a flap which you can fold over to shield your passenger from the sun (or even to carry your donuts, as we found out) and you can buy a couple of accessories for it, including a foot muff which would be ideal for colder weather. The Pockit stroller retails at £150 and I have to say I think this is a fair price for the pushchair. 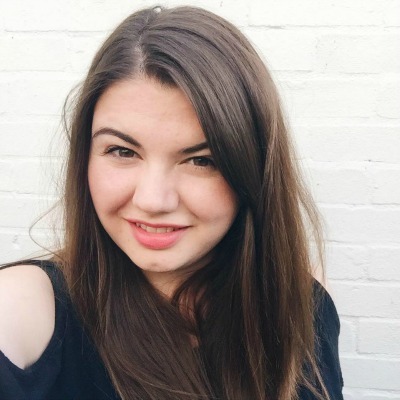 It is really well made, will last you years and is an absolute lifesaver when travelling. I would hand on heart purchase this pushchair myself, and considering how much use we've had out of it already, I know that it would be worth every penny. Overall I was really impressed with the Pockit stroller, and have used it far more frequently that I had expected to. I love how easy it is to use, it is really well made, and it's compact size is absolutely ideal, especially as our boot is so small. It isn't perfect for every situation, but to be honest I can't think of a pushchair that is. 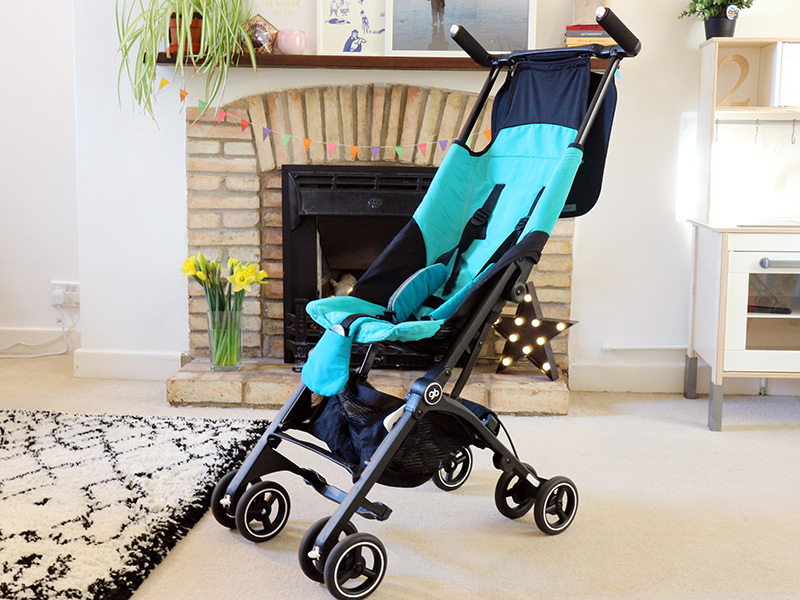 If you're after a stroller to take on holiday, then this is the one for you, without a doubt. I can't fault it's performance even a little bit - it is so robust that we've even taken it out on muddy walks in the forest, despite the fact that it is designed for use in the city. It is just brilliant!